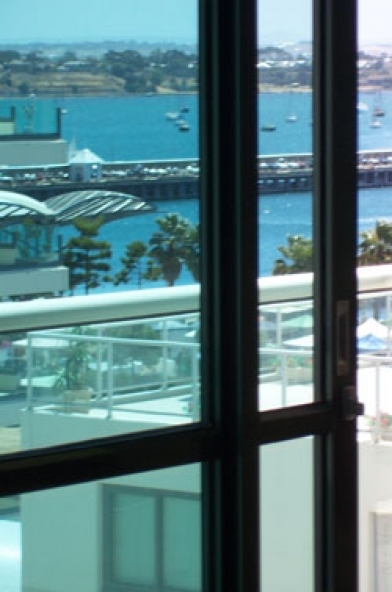 Bayside Apartment Geelong is a deluxe self contained apartment close to Waterfront Geelong, restaurants and attractions. 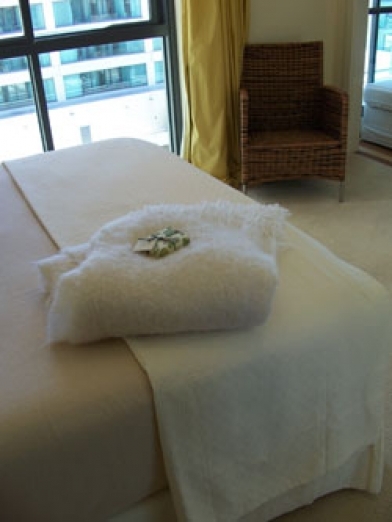 The apartment is perfect for a romantic getaway for two, executive accommodation, or can accommodate a group of four people with a double sofa bed in the lounge. 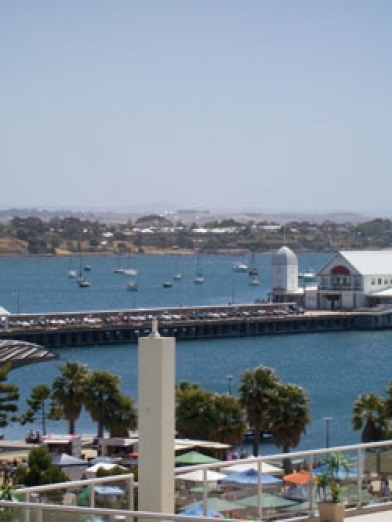 Whilst lying in bed enjoy views down Cunningham Pier across Corio Bay. 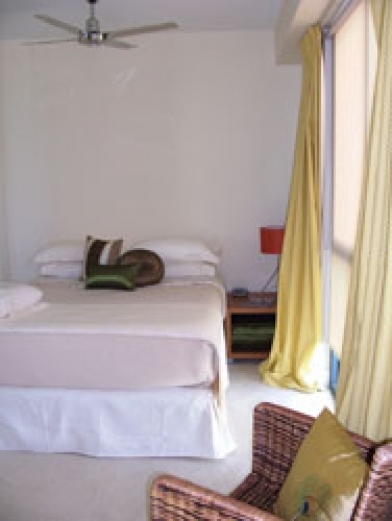 The queen size bed is made with the finest Egyptian bedlinen. 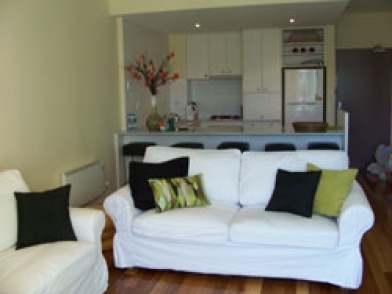 The Apartment features bright rooms with natural light (and blockout blinds), windows with wide balconies overloooking Corio Bay, deluxe spa bathroom with full laundry facilities, stainless steel kitchen appliances and espresso coffee machine, and outside BBQ area. Guests are welcome to indulge in unlimited use of the magnificent heated indoor pool, sauna and exercise room in the adjoining Sheraton Hotel. 7 days notice is required for cancellations. Cancellations or no shows of less than 7 days notice in forfeit the full tariff of the first night only. During peak season, long weekends and festivals or special events cancellations or no shows of less than 7 days notice forfeit the full tariff. From Queenscliff come to Geelong on the Bellarine Highway - the B110, and follow the signs to Geelong. Turn right into Yarra Street and follow Yarra Street till you see the water. The Apartments will be on your left. From Melbourne Get onto the M1 to Geelong. Take the Bell Parade exit by Rippleside Park, and follow this road around the water. The Sheraton Hotel will be on your right, take the next street to your right which is Yarra Street. From the Great Ocean Road Follow the sign to Geelong on the M1 or Latrobe Terrace. Turn right into Ryrie Street. Turn left down any street and head straight down till you reach the waterfront. This is Eastern Beach Road. Turn right into Eastern Beach Road and look out for the Sheraton Hotel on your right. Take the next street to the right which is Yarra Street.